Team Peugeot Total has unveiled the livery in which its all-star ‘dream team’ of Sébastien Loeb, Stéphane Peterhansel, Cyril Despres and Carlos Sainz will tackle next year’s Dakar Rally, taking them on an epic journey through Argentina and Bolivia over two weeks in January. 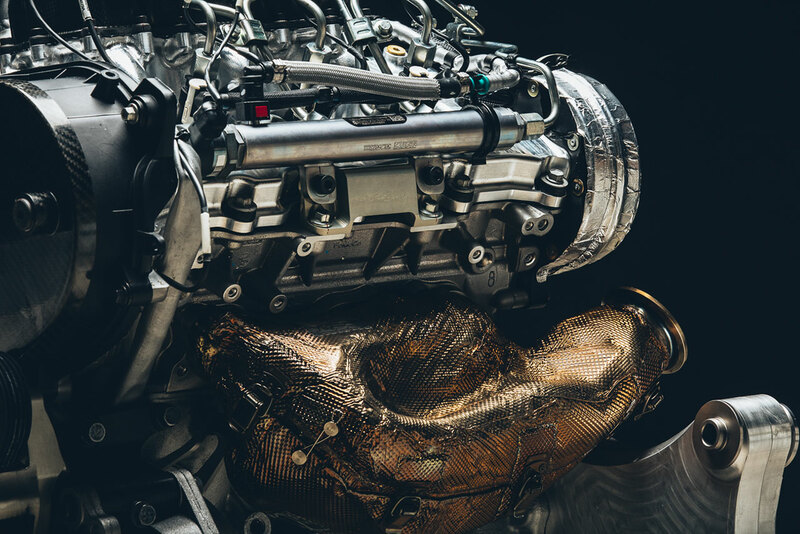 For 2016, the Peugeot 2008 DKR has been extensively evolved to become wider, faster, lower and more powerful. 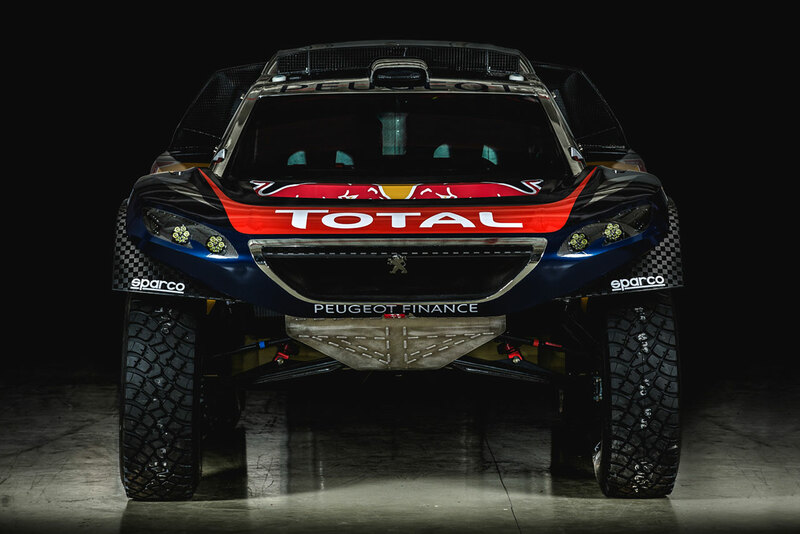 Complementing the aggressively feline look of the new car, a distinctive and fresh livery will ensure that the Peugeot stands out in the desert. 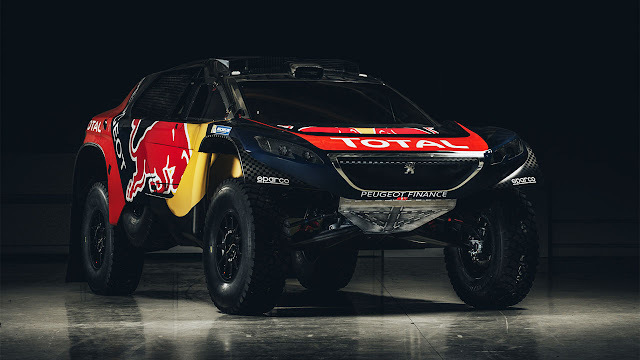 The Peugeot proudly wears the colours of all its partners in the Dakar project, capped by a silver-coloured roof for the first time: designed to reflect the harsh sunshine of the Argentine summer, where temperatures can exceed 50 degrees centigrade. 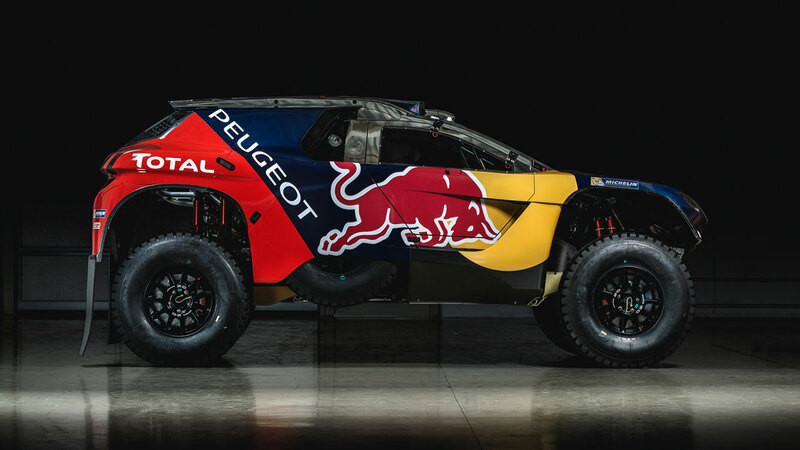 This contemporary livery underlines just how many changes the car has undergone since it made its Dakar debut 11 months ago, with evolutions both above and below the skin. 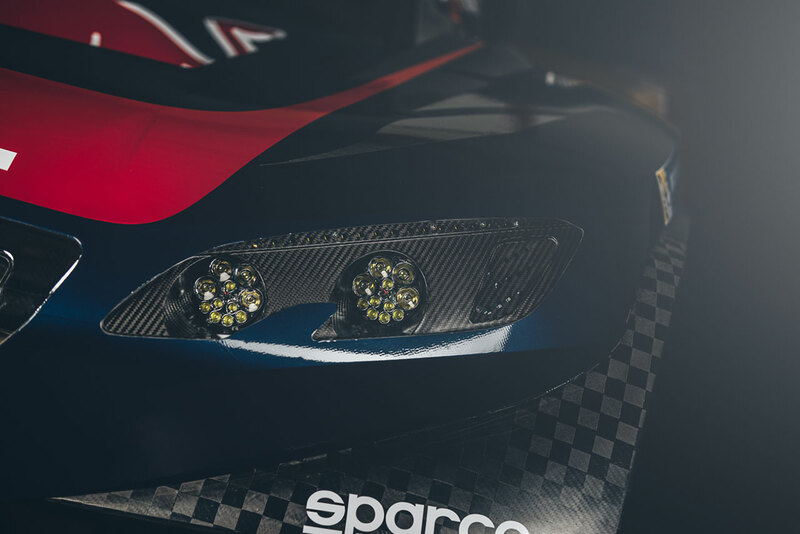 The new dimensions have significantly altered weight distribution, for example, with spare wheels now stored in the sidepods of the car, which lowers the centre of gravity and improves handling. 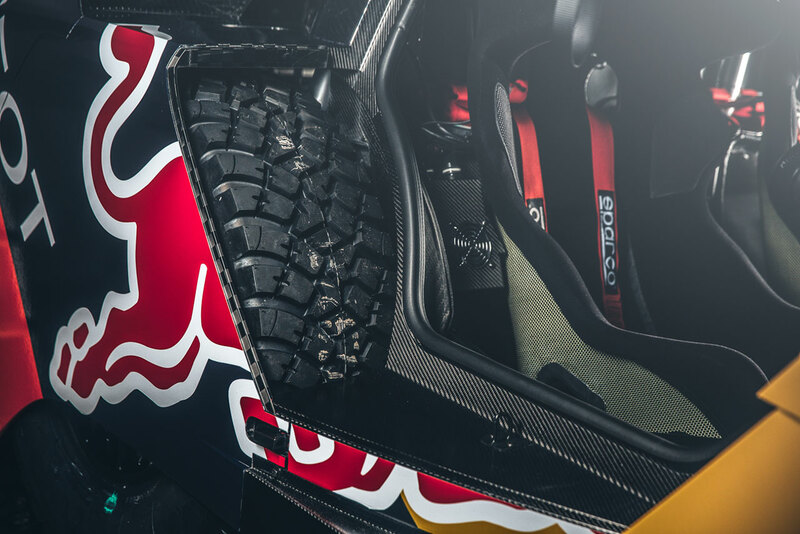 The fresh skin has been specifically designed around this eye-catching new shape, accentuating both the flat panels and the curves that combine to make the Peugeot 2008 DKR16 – as the latest evolution of the car is known – one of the most impressive sights on the Dakar. The 2016 colour scheme flows naturally from front to rear, showcasing the go-anywhere capabilities of Peugeot’s newest challenger, with a chrome-effect grille and lion badge fearlessly leading the way. 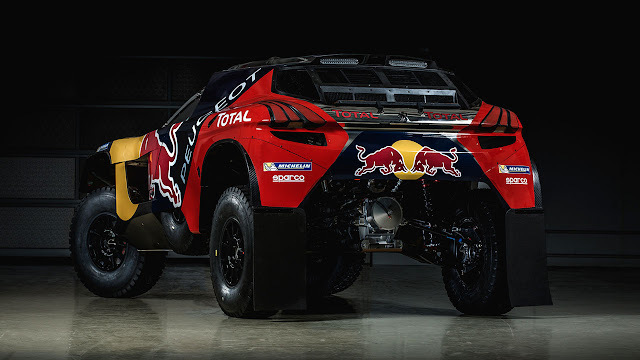 The design cues and livery also emphasise the family resemblance to the Peugeot 2008 road car, on which the rally raid machine is based. 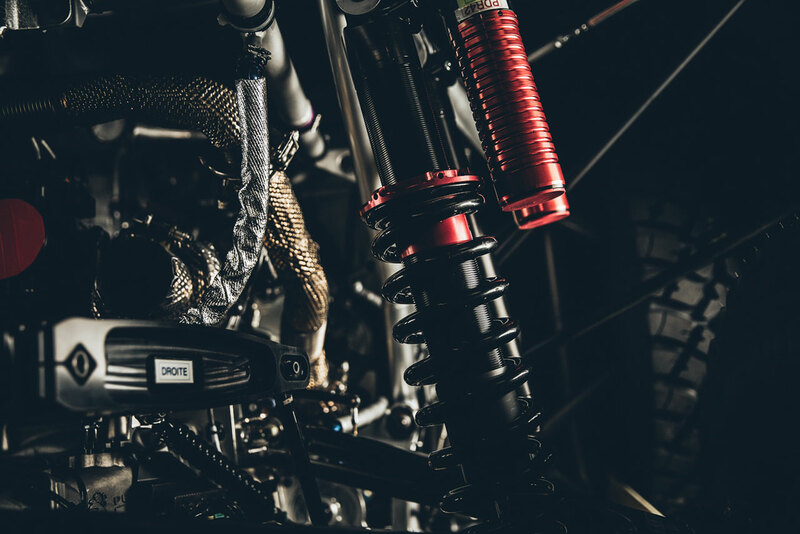 The 38th Dakar Rally gets underway in Buenos Aires, Argentina, on Saturday 2 January, before concluding in Rosario on Saturday 16 January. 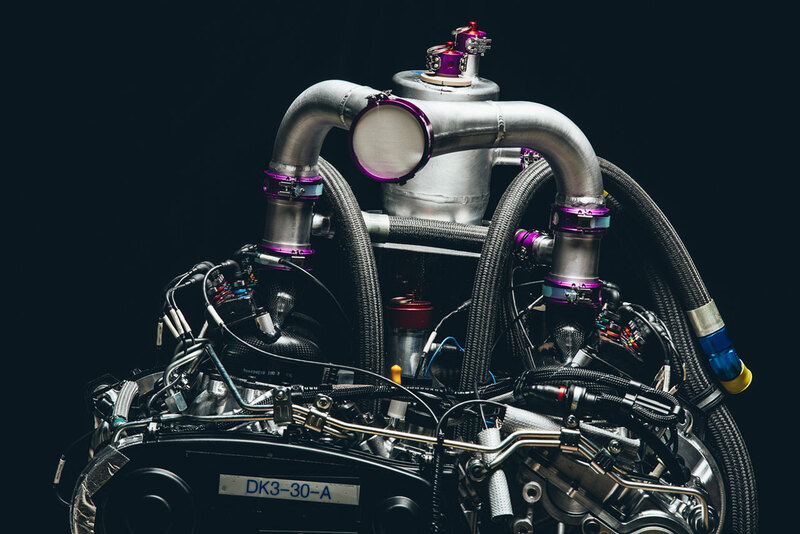 Ahead of Peugeot Total’s dream team of chargers lie nearly 10,000 kilometres of intense competition, during which they will travel practically the entire width of South America.